Many of you are celebrating! The summer vacation is over and your children or grandchildren have returned to school after a long, hot summer. It will be a few weeks before we can enjoy the cooler weather here in Florida BUT we are relieved to have survived Hurricane Irma. And now is the time for us to plan for cool weather activities. For more information, contact me through my website. Space is limited. The cost of $110 includes demonstrations, individual instruction, a group critique and morning tea and coffee as well as lunch on my back deck. All levels are welcome. 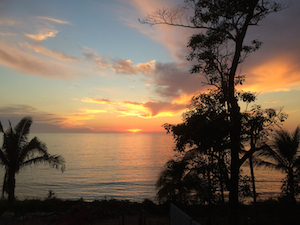 Painting Retreat on the Mexican Riviera: Awaken Your Creativity and Inner Life in Relaxed and Vibrant Mexico! 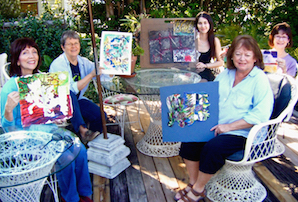 In the idyllic setting of Casa Buena Art Retreat explore acrylics, mixed media, watercolors, charcoal and ink. Find inspiration in both the ever-changing natural panorama of the Mexican Riviera that surrounds Casa Buena, and in the many facets of your own inner journey. Nina Ross and I will guide you to ever deeper revelations in your art-making process. Through individual and group instruction, demonstrations and supportive critiques, we will lead you toward the fullest expression of your artist self. 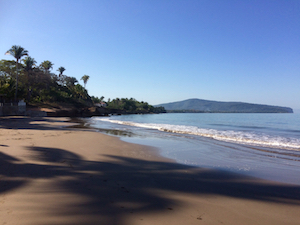 Keep a dream journal for insight and further inspiration: Nina, who has led and co-facilitated retreats in Mexico, Oregon, Massachusetts, and New Mexico, will lead the group in reflective journaling and meditation daily, including dream sharing. I will lead morning yoga sessions. All levels of artistic expertise are welcome. Take refreshing breaks in the swimming pool, walk on the beach and hike the hills covered with tropical foliage and plantations. While you’re busy creating art and exploring, your friendly hosts at Casa Buena will ensure that your stay is memorable. Outstanding accommodations, food, and field trips will satisfy your desire for both comfort and adventure. 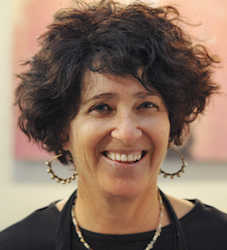 Rose Marie Prins has a PhD in Studio Art and Arts Administration, an MA in Art and a BFA in Painting. 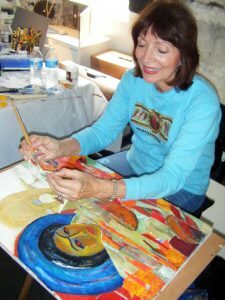 Her award-winning paintings and sculpture have been exhibited in galleries and museums throughout the United States and in her native South Africa. 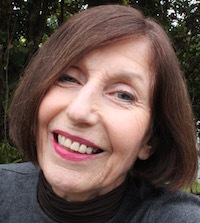 Her work is in collections in the USA, Canada and Europe. Since her arrival in Florida in 2000 she has taught painting, drawing, sculpture and art appreciation at numerous institutions including Ringling College of Art and Design, Eckerd College, Barry University and Hillsborough Community College. 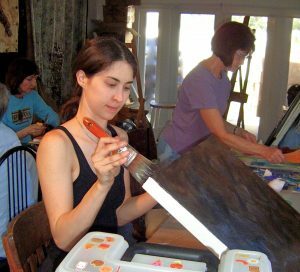 She currently teaches painting at St Petersburg’s Morean Arts Center. 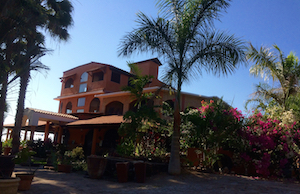 Cost: $1,500+tax includes accommodations, studio space, meals, field trips, limited art supplies, a night in Puerto Vallarta & return transportation to Puerto Vallarta airport. For more information visit the Casa Buena Art Retreat website. Space is limited–reserve your space early! NOTE: Rose Marie and Nina are solely acting in the capacity of your instructors. 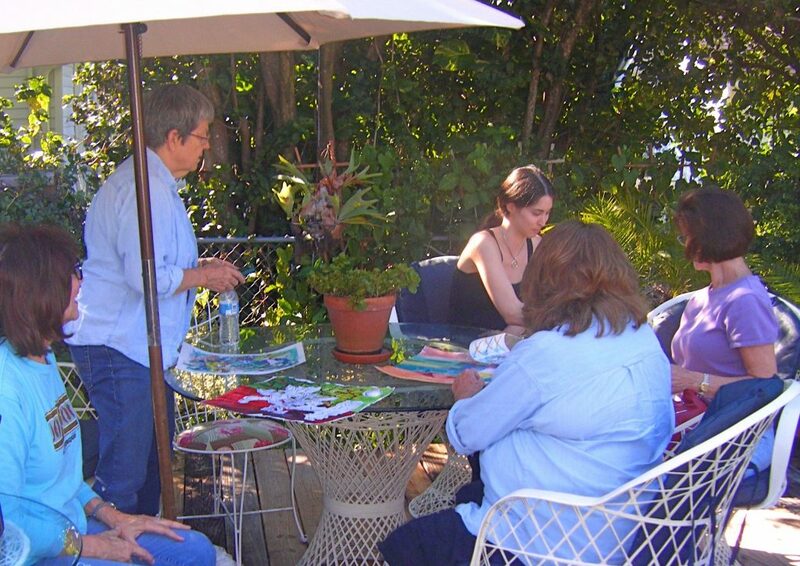 All arrangements with Casa Buena Artists’ Retreat are between the Retreat and the participants only, as are any travel arrangements you may make to attend the retreat.